Also available at Amazon, Barnes & Noble, iBooks, and the Sony Reader Store. The Bible Memory Version helps you memorize and review whole sections of the Bible. Click on any verse or passage of Scripture, and it instantly switches to first-letter view. This method is based on memory research which shows that recalling information is a far more effective way to memorize than merely repeating information. Click here for an example of how the first-letter method works. Need a free e-reader? Click here. 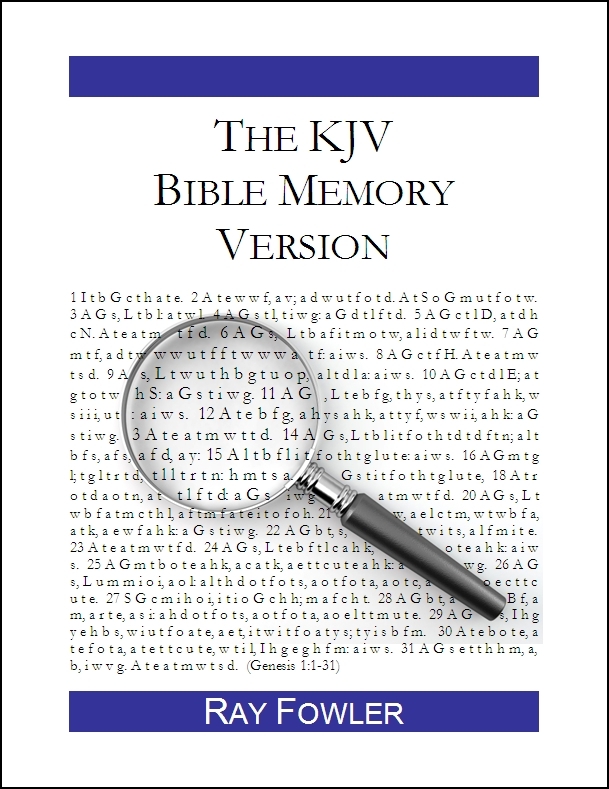 Note: If you would like the Bible Memory Version released in a different translation, please contact the author at digital-books@rayfowler.org. About the author: Ray Fowler (B.M., Berklee College of Music; M.Div, Gordon-Conwell Theological Seminary; D.Min., Gordon-Conwell Theological Seminary) worked as a recording engineer before he was called into pastoral ministry in 1986. He has served churches in California, Massachusetts and Florida. Also available through Amazon and Barnes & Noble.